Actors Sam Sherwood and Katie Barton sing their praises of starring in the Irish musical drama, Once, now playing at Ivoryton Playhouse. Based on the critically-acclaimed 2007 film, Once is the story of a struggling Dublin musician, the girl who stumbles into his life and the music they make together. “There’s not a human on earth who hasn’t experienced struggle and we all know that one person in our life that held us up when we buckled at the knees and that’s what this story is about,” Barton said. Packed with both lively and hauntingly beautiful folk music, Once dazzles audiences with its unique and irresistible charm. “Ivoryton is the perfect space for this show because it’s an intimate story,” Sherwood said. “And, of course, the sound is going to be great because you’re going to be really hearing these instruments live in the room.” “I think anyone who comes will leave moved and with a song in their heart,” Barton said. 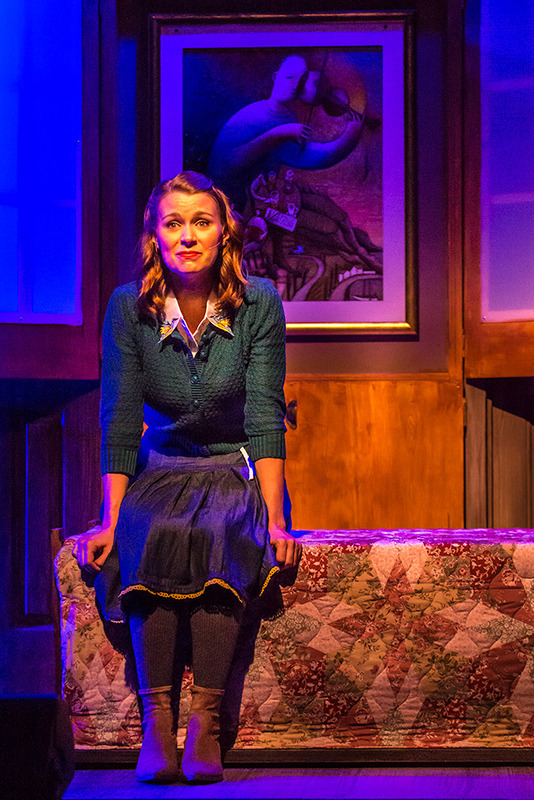 Don’t miss Once at Ivoryton Playhouse, now playing through October 14. Our thanks to Overabove for producing great video clips for us! 19th, the Broadway smash hit ONCE, opens at the Ivoryton Playhouse. On the streets of Dublin, an Irish musician about to give up on his dreams and a beautiful young Czech immigrant are drawn together by their shared love of music. Over the course of one fateful week, an unexpected friendship and collaboration quickly evolves into a powerful but complicated love story, underscored by the most beautiful, emotionally charged music. Winner of eight 2012 Tony Awards including Best Musical, ONCE is a truly original theatrical experience. Featuring an impressive ensemble of actor/musicians who play their own instruments onstage, ONCE is an unforgettable story about going for your dreams and the power of music to connect us all. 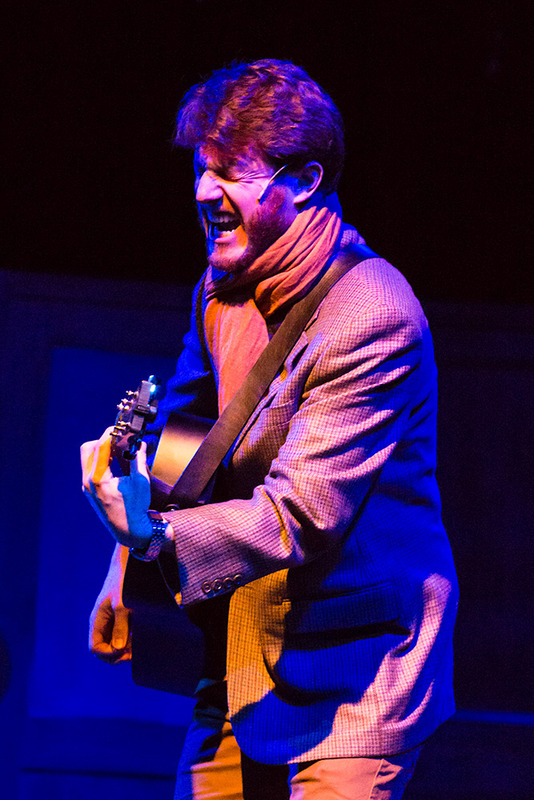 Ivoryton is thrilled to welcome back Ben Hope*, who has performed here in MILLION DOLLAR QUARTET and STAND BY YOUR MAN. Ben is making his directorial debut with this show which is near and dear to his heart since he performed the role of Guy on Broadway many times. What makes this production special is that Ben is directing his wife, Katie Barton*, in the role of Girl. Katie has also performed in Ivoryton, playing the lead role of Tammy Wynette in STAND BY YOUR MAN. Joining them in this production are Sam Sherwood*, last seen in Ivoryton in THE ROAD – MY LIFE WITH JOHN DENVER, as Guy; Steven G. Anthony* as Billy; Jonathan Brown as Svec; Margaret Dudasik* as Reza; Andreina Kasper as Bank Manager; Marcy McGuigan* as Baruska; John Mervini as Eamon; Morgan Morse as Andre; Rachel Mulcahy as Ex-Girlfriend; Don Noble* as Da; Victoria Wepler as Emcee and Cadyn Malary and Lizzie Pantano as Ivanka. Musical Direction by Eric Anthony, Set Design by Glen Bassett, Lighting Design by Marcus Abbott, Costume Design by Cully Long. ONCE opens at the Ivoryton Playhouse on September 19th and runs through October 14th 2018. Performance times are Wednesday and Sunday matinees at 2pm. Evening performances are Wednesday and Thursday at 7:30pm, Friday and Saturday at 8pm.